A screenshot from Need for Speed Undergroud. 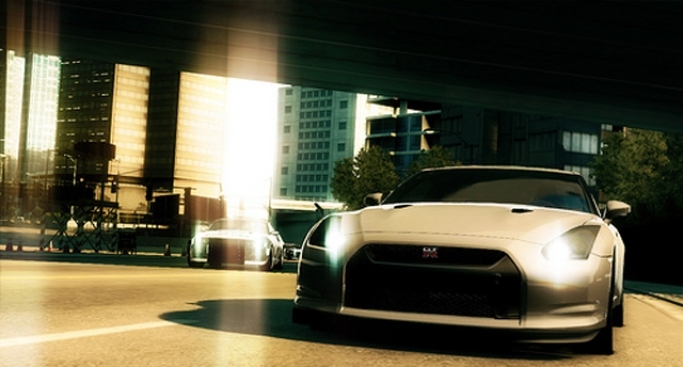 Electronic Arts is steering the popular "Need for Speed" franchise in a new direction. The video game publisher announced plans Friday to spin off the 15-year-old racing series into three driving games on different platforms. The new games will speed into three separate genres -- simulation, action and arcade racing. "It's all about crafting different games for different audiences," said Keith Munro, EA marketing vice president. "The 'Need for Speed' brand is quite powerful. It has great recognition, even outside of gaming. When we talked to consumers about what the brand meant to them, we realized that it could be stretched to new limits on different platforms." The new games, expected to be released later this year, are "Need for Speed Shift," a first-person racing simulation for the PlayStation 3 and Xbox 360; "Need for Speed World Online," a multiplayer action-driving game for the PC; and "Need for Speed Nitro," an arcade-style racing game developed by EA Montreal for the Nintendo Wii and DS. "In the past, our 'Need for Speed' games have done very well on all platforms," Munro said. "We just think we can do better with this new plan. We actually have the opportunity to devote an entirely new studio and development team to the creation of a from-the-ground-up Nintendo-only 'Need for Speed' game. We didn't have those resources available before." Munro said EA Black Box, the Canadian developer that created every previous "Need for Speed" game, has been collaborating with developer Slightly Mad Studios on "Need for Speed Shift" and EA Singapore on "Need for Speed World Online." He also said Black Box is continuing to work on a new action driving game, despite recent companywide layoffs. "They will still be very much involved in the development of 'Need for Speed' products," Munro said. "Over the years, we've asked the Black Box team to deliver a new 'Need for Speed' game every year. We've gone to a couple of new studios to deliver next fall's games to inject freshness into the category and give the Black Box team time to retrench." The new games have been in development for two years. The original "Need for Speed" was released in 1994 for the 3DO, PC, PlayStation and Sega Saturn systems. The most recent game, "Need for Speed Undercover," was released last November for the PlayStation 2, PlayStation 3, PlayStation Portable, Xbox 360, Nintendo DS, Wii and PC.